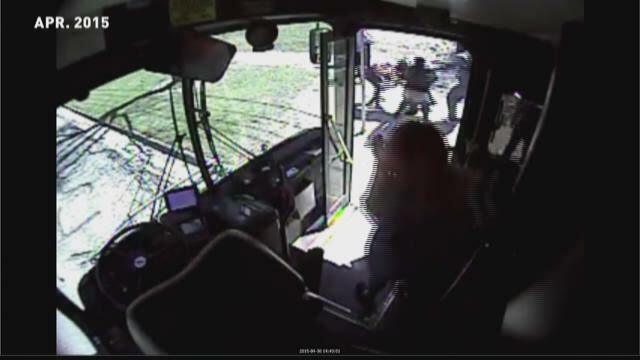 GRAND RAPIDS, Mich. (WZZM) -- A Rapid Bus driver convicted of assaulting a teen passenger during an afternoon run last April was sentenced Tuesday to community service. Alicia Miller, 54, was sentenced in Grand Rapids District Court today for assault and battery, a misdemeanor. Judge Jennifer Faber ordered her to perform 56 hours of community service and pay $575 in fines and court costs. The charge stems from an April 30, 2015, verbal confrontation on Tremont Boulevard NW with a teenage passenger that turned physical. An ensuing scuffle was caught on cell phone video. The Grand Rapids Public Schools student she tussled with was charged with creating a disturbance. Miller in 2014 received a letter of congratulations after being selected to become a training instructor. But that was torpedoed after the misdemeanor charge. She was initially placed on unpaid suspension but is no longer driving for The Rapid. Since joining the bus service in 1999, Miller has generally received positive reviews, although problems with attendance, missed meetings and running ahead of schedule occasionally landed her in trouble with management. Miller's people skills were red-flagged in May, 1999 during her probationary period as a new hire. Supervisors recommended she try to be more courteous and improve Interaction with riders getting on and off the bus, personnel records show.